The author and former Governor General of Canada speaks to Shelagh Rogers about his new book, Trust. David Lloyd Johnston is a Canadian academic, author and statesman who served as Governor General of Canada from 2010 to 2017. 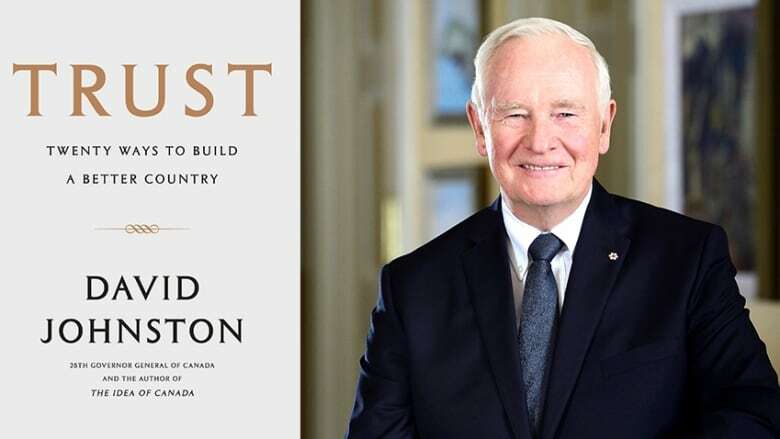 David Johnston is a Canadian academic and author, who served as Governor General of Canada from 2010 to 2017. His latest book, Trust, is a guide for the repair and restoration of the social quality on which all democracies rely. The former governor general spoke with Shelagh Rogers about the concept of trust and why it is needed now more than ever. "Trust is the glue that holds our society together. I think that glue is coming loose — our democratic institutions are being somewhat eroded in various jurisdictions around the world. We're not immune to that here in Canada. Optimistically, it's about how we go about strengthening and building trust in our public institutions, our organizations and ourselves. It was a backward working arc — where you begin with yourself and you move outwards." "The old Western liberal democratic ideals of public institutions — where you could assume that governments would tell the truth, that our systems of justice would work well, that employers would give fair deals and that international conventions would be constantly improving the state of relations between states — those conventions have somewhat fallen. "We've seen very dramatic increases in inequality of wealth around the world. The digital revolution, which has brought so many benefits of providing data at least to every corner of the world reasonably efficiently, also has its downsides and can be manipulated by some and be used for half-truths by others. Those are all factors that have made life uneasy for us. Finding our way back to practicing some fundamental virtues, such as trust is, for me, an important way forward." David Johnston's comments have been edited for length and clarity.